I have collected cars for 35 years. This is one of the classics from my personal collection, see others at, www.gccc.us This convertible comes with a 3-speed high boy stick automatic transmission and 350 hp engine. 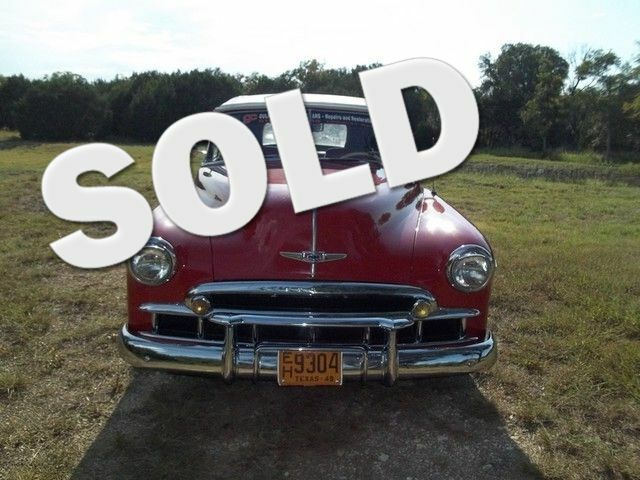 It has front disc brakes, fender skirts and is red with later model red & white interior.Tilt/Tele steering wheel, Original radio in dash but also has a working one. New tires, wheels, carpet and electric convertible top. This is a beautiful car mechanically refreshed and has low mileage, not many of these classics are still available.